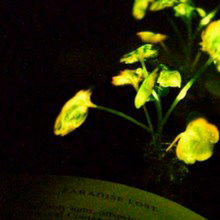 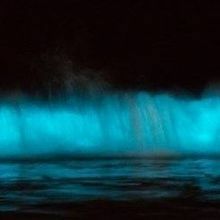 Sea fireflies spew a mucus with a chemical glow to lure mates and avoid being eaten. 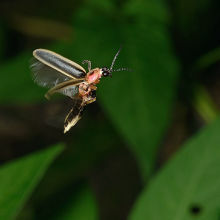 Bats use both echolocation and vision to avoid eating unpleasant fireflies. 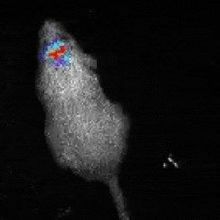 Researchers engineered a system for bioluminescent imaging that is as much as 1,000 times stronger than existing methods. 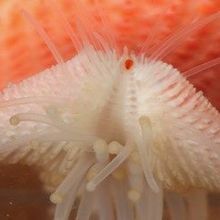 A study of 13 starfish species reveals that even animals that live at depths where sunlight doesn’t reach have functioning eyes. 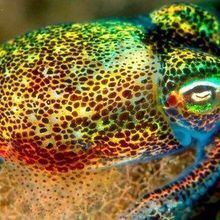 Thanks to the bioluminescent bacteria inhabiting its light organ, the vividly colored southern bobtail squid (Euprymna tasmanica) can glow in the dark. 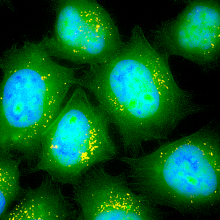 Glowing cells mark the routes of tumor spread by way of newly formed lymph vessels. 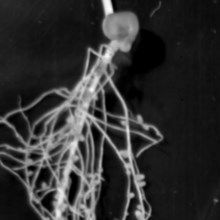 Pea plant (Pisum sativum) roots that have been inoculated with engineered Rhizobia bacteria glow in the presence of certain proteins.